This show is filled with amazing HipHop. One of my top favs fo'sure. I've been listening to HipHop since growing up in the 80's and I did not even know of DJ Vadim's group One Self. This is why I LOVE WEFUNK!!! BoomBap! i'd really like to own that track you play after vadims set while talking!! i just loooove that beat! nice show, like the dj vadim/oneself stuff. But doesn anybody know how this track between the one of slum village (raise it up) and erule is called? It is by Bahamadia, but not listened in the playlist. Big Ups to Wefunk, and thx for the answer beforehand! much love and respect to russian percussion!!! also big up WE FUNK...I would love to hear about vadim's musical tastes and history...again thank you, what a treat!!!!!! Vadim, your ill!! now, are you really stopping R&B!! killing hip hop? cause it seems as if your not caring, or your songs aren't what we expected, I still purchase and "feen" for your weird "ISH" slap everyone in the face with your below the surface material!!!!!!!!!!!!!!!!!!!!!!!!!!! Du gros, du lourd, du big bad sound!!! That track from erule blew my mind...anyone know how to get more, or even just more info on the artist? haha, figured it out. it's a shaggy track! boo that! anybody know what that back track is on that jungle bros track? it sounds so familiar. i don't like the "approximative english" ! So parlons Français !!! 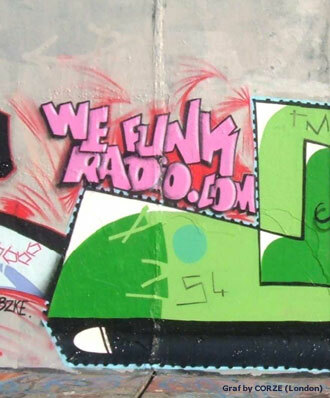 But i love WEFUNKRADIO !!!!!! click on "qod.radio" link !! DJs & GUESTS DJ Static, Professor Groove, DJ Vadim, Nick, Steve, Mason, Sanny, Fon / RECORDED October 1, 2004 / PLAYLIST MARKING defgeoff256 / HOSTING PJ, Mike, Oliver & daduke. You can help too!